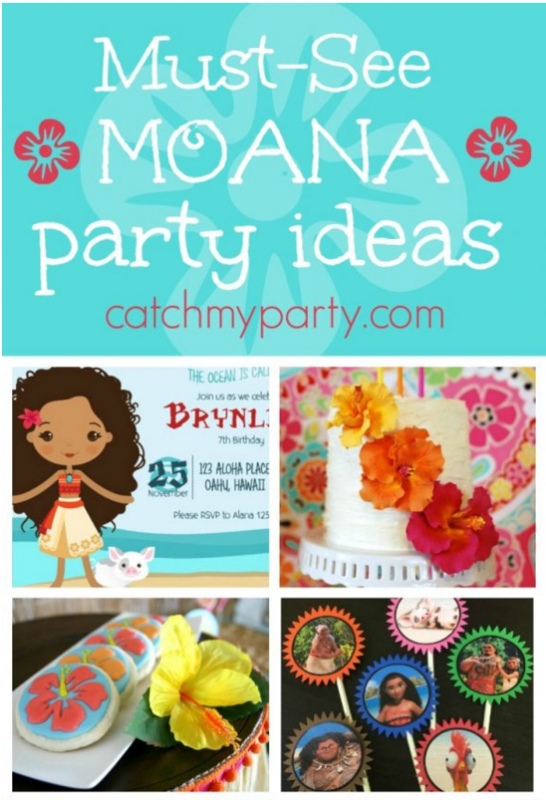 Ever since the movie came out, Moana birthday parties have been such a popular party theme on Catch My Party! The movie is just so fun and inspiring! I don't know anyone who hasn't loved it. 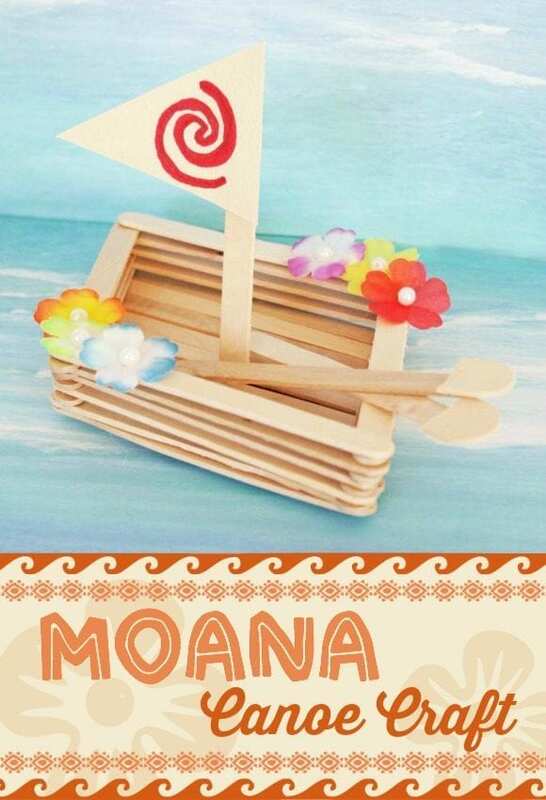 So, if you're thinking of hosting a Moana birthday party, take a look at these 12 Must-See Moana Dessert Tables that I've rounded up for you from our site. 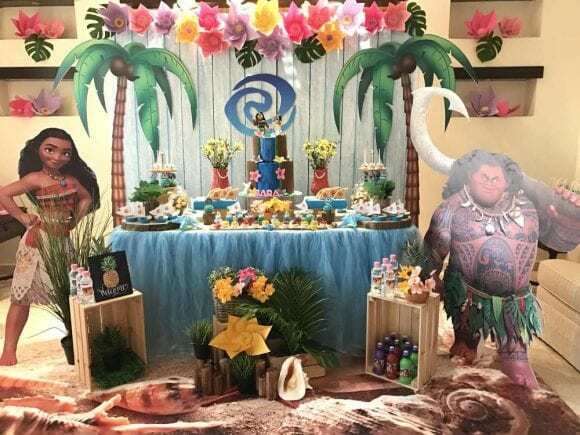 What an awesome Moana dessert table! 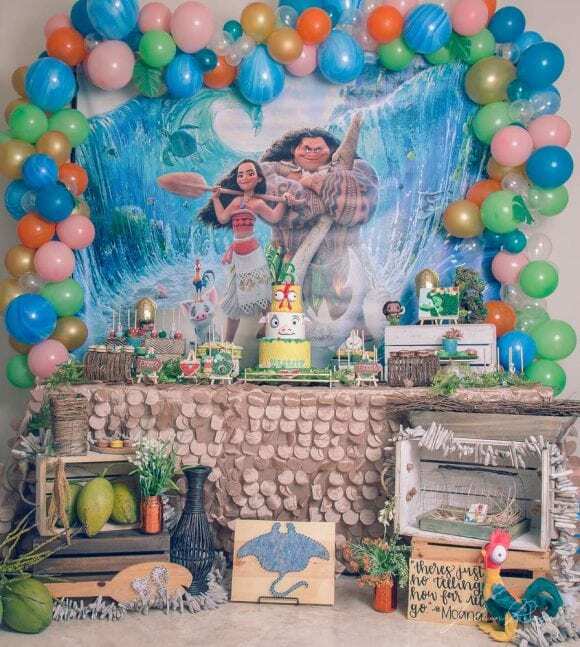 Love the colorful balloon garland framing the Moana and Maui backdrop, and check out the amazing tiered birthday cake with Hei Hei and Pua. The paper flowers are stunning up against this bamboo backdrop. They bring so much color to this Moana dessert table. 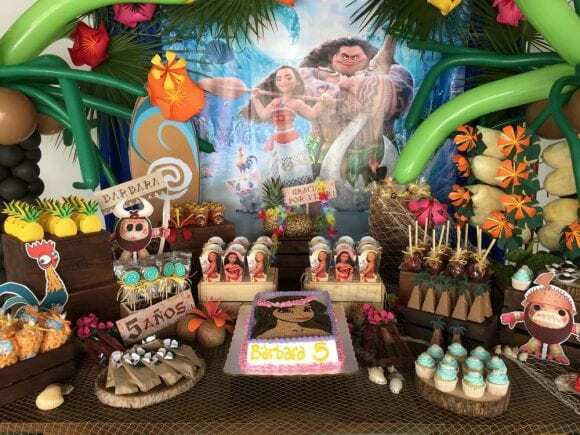 The Hei Hei cake pops and kakamora candy apples are so much fun, as is the gorgeous tiered Moana and Pua birthday cake! Love the painted ocean on a canvas used as a backdrop, plus the canoe sail. 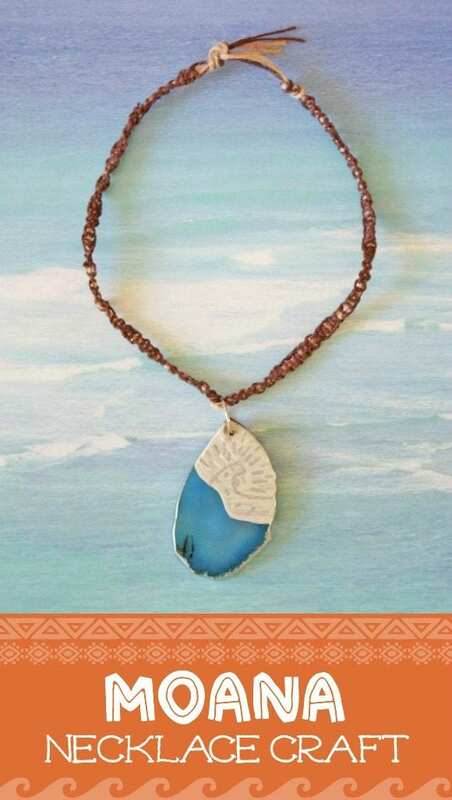 What a simple yet beautiful idea. The blue and white balloon garland with tropical flowers and leaves give the party such a tropical feel. This Moana birthday party is awesome with the balloon palm trees at either end of the dessert table with the paper flowers. The scattered Kokamora cutouts are also so much fun! 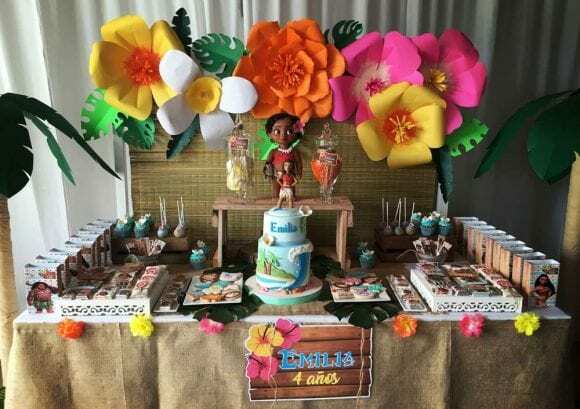 This Moana dessert table is so pretty with the Maui magical fish hook cupcakes and the stunning ocean inspired birthday cake. Wow!! 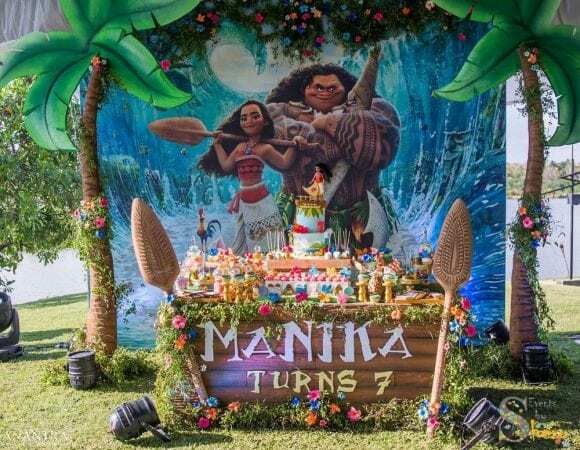 The backdrop and balloons look amazing, and the Moana decorated birthday cake with tropical flowers and palm trees is incredible! 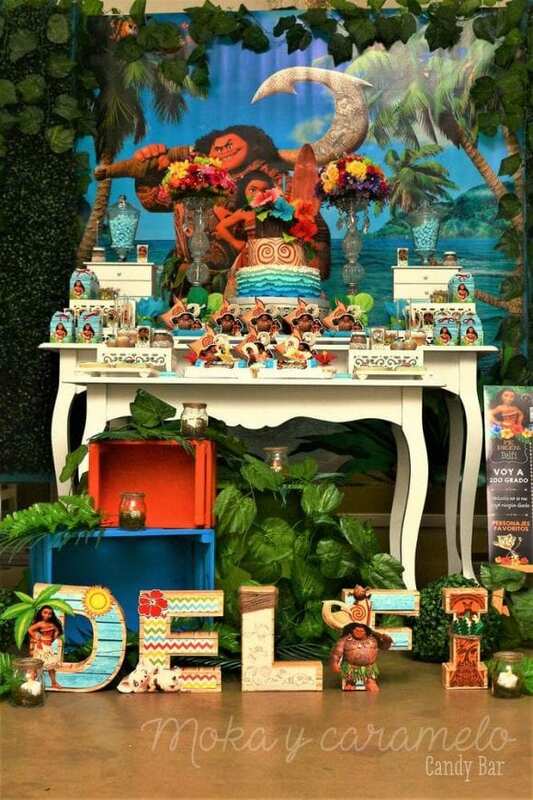 What a lush tropical Moana dessert table with all the greenery and the awesome Moana and Maui backdrop. The birthday cake is stunning with elements of the ocean, Maui's tattoos and tropical flowers. 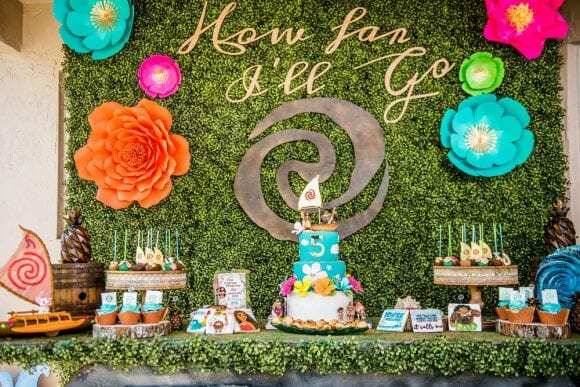 This Moana dessert table with its greenery backdrop and big paper flowers will take you all the way to Motunui. 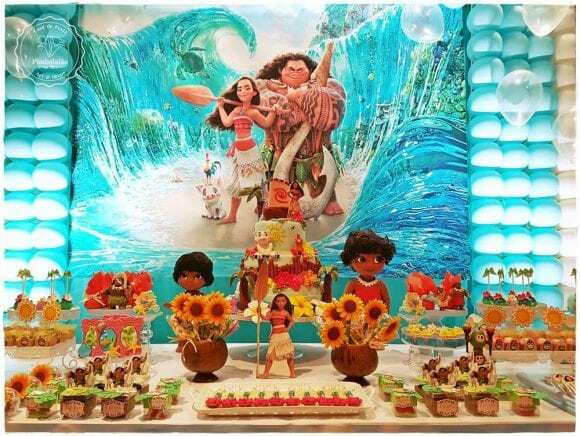 The decorated Moana cookies and gorgeous birthday cakes make this birthday truly wonderful! 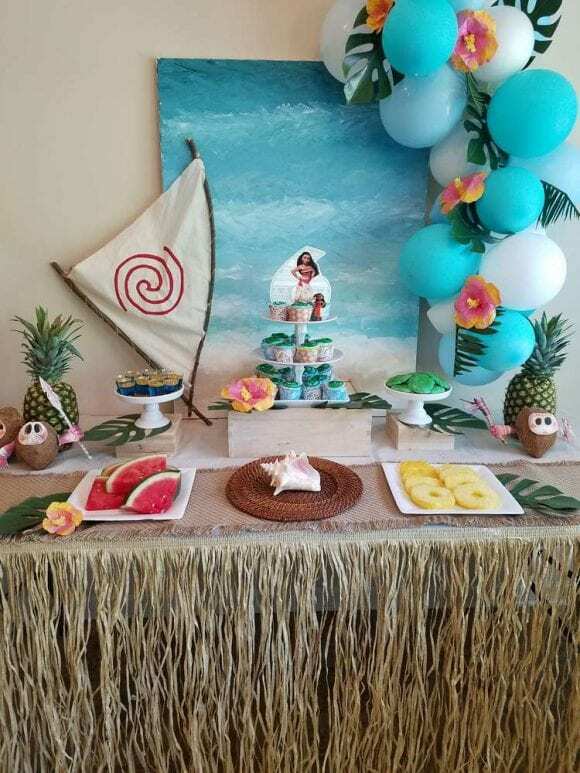 What a pretty Moana dessert table with the large Moana and Maui cutouts and the blue tule table skirt that looks like the ocean. The waterfall birthday cake is amazing and really brings the party to life! 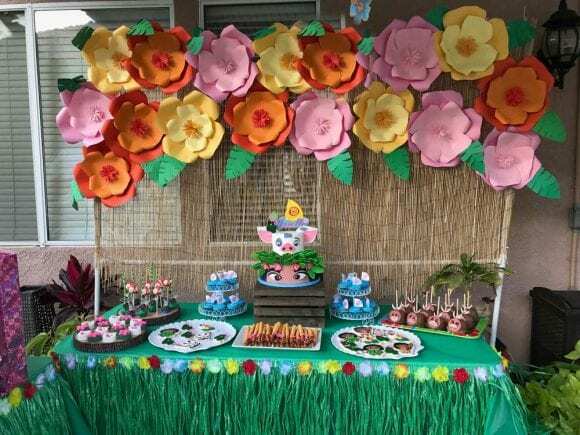 This Moana birthday party, set in a gorgeous garden with beautiful palm trees and tropical flowers is so exotic! Love the dessert table with the gorgeous backdrop and the amazing sweets and beautiful Moana birthday cake. 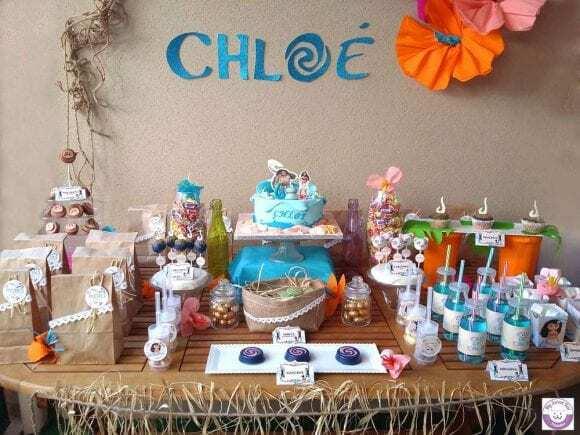 This Moana dessert table for this little girl's 1st birthday is so cute! Love the floral back drop and the ruffled table skirt that bring it all to life. Also check out the wonderful tiered birthday cake. Absolutely stunning!! 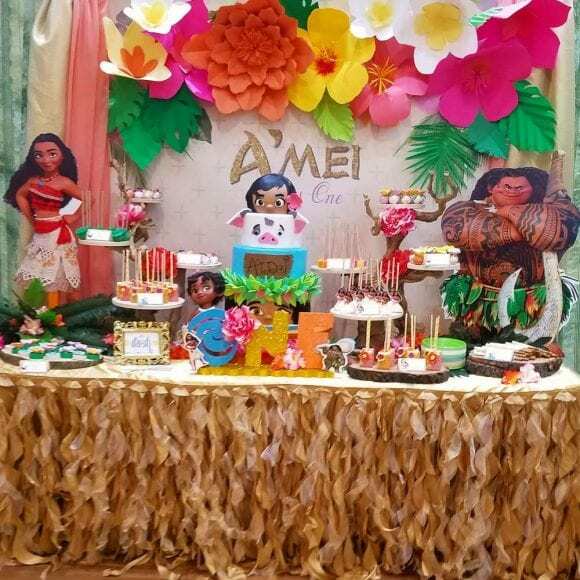 Wow, what a gorgeous Moana dessert table with pretty colorful paper flowers decorating the backdrop. The cupcakes and cake pops decorated with flowers transport you to tropical shores. 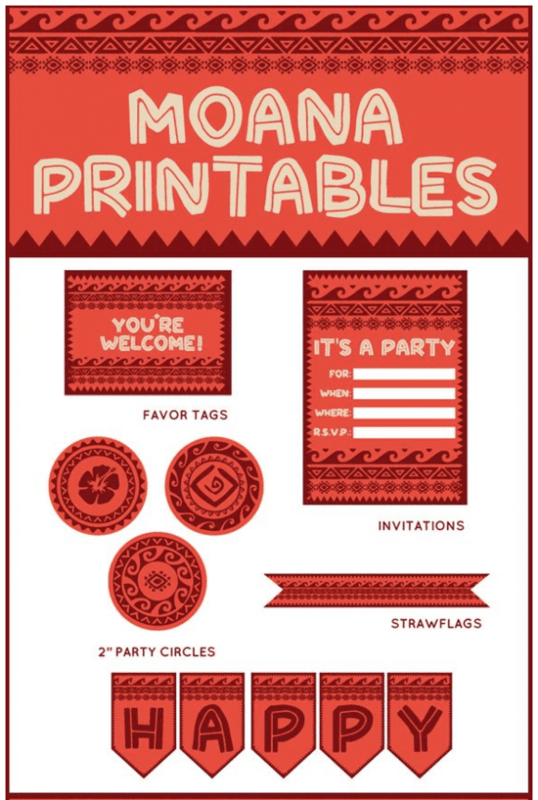 For more inspiration, check out all the incredible Moana birthday parties on our site, our free Moana printables, and all the Moana party supplies from vendors with listings on our site.